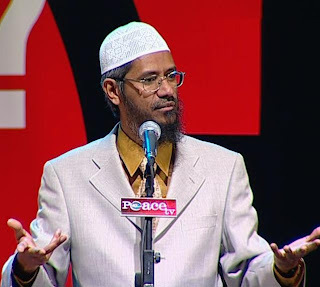 Dr. Zakir Naik: Why Zakir Naik is loved by non muslims? Why Zakir Naik is loved by non muslims? We all know Zakir Naik (an Islam propogator) poppularity is all time high in Asia.Why is this so? Even non muslims love him why? Because of his repect for all religions. He in speeches never abuse and never say anything bad about other religions. But try to preach islam in a way which should not be offensive. Most of the time he preaches that muslims , hindus and christians should come towards the common terms in there rerligions. Like humainty , honesty ,truth speaking and all like this stuff. He is a great preacher of unity between all humans without any discrimination of colour and creed. when everyone is trying two destroy the image of muslims envolment in terrorism zakir naik is the only significant scholar who is trying two convince world abt peace loving islam. His efforts are really appreciable.